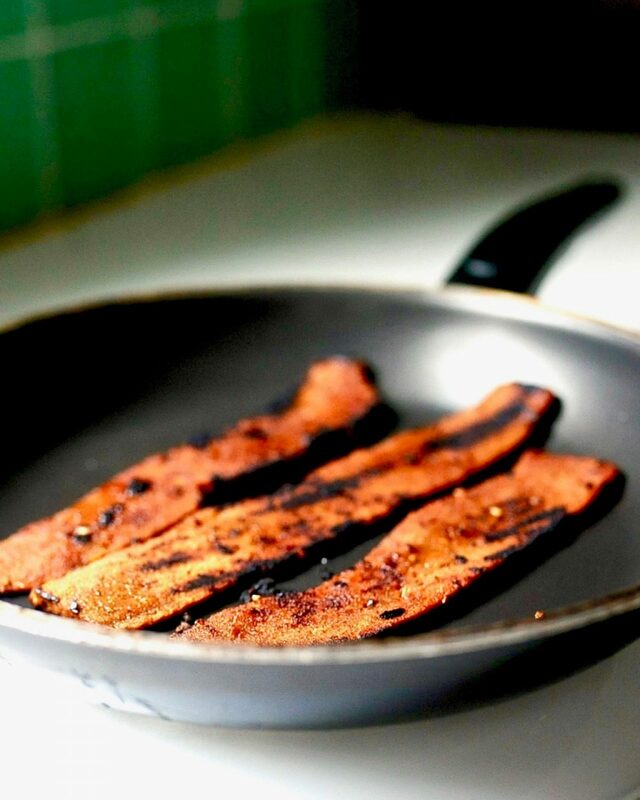 Warning: This vegan bacon is addictive. 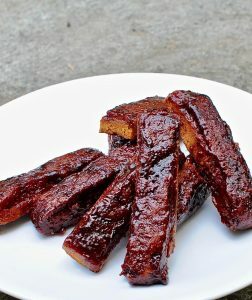 I have tested this smoky maple seitan bacon on omnivores and it rated two thumbs up. Here is how it goes down when you serve this to self professed “real” bacon lover. They will discreetly wrinkle their nose and insist on taking half a strip instead of a whole. Then they’ll place a tiny corner in their mouths and nibble just the teensiest bit in case it is not maple but hemlock infused. “Not bad” they’ll announce with surprise. They’ll throw a couple of strips on their sandwich along with juicy tomato slices and crisp green lettuce leaves. By the end of the meal they will have finished every crumb of their 1st vegan BLT. “Hey, do you have anymore bacon?” they will ask plaintively pointing to the empty platter with their left hand while clutching two strips of bacon in their right. Crispy, chewy, salty, smokey, spicy, sweet. 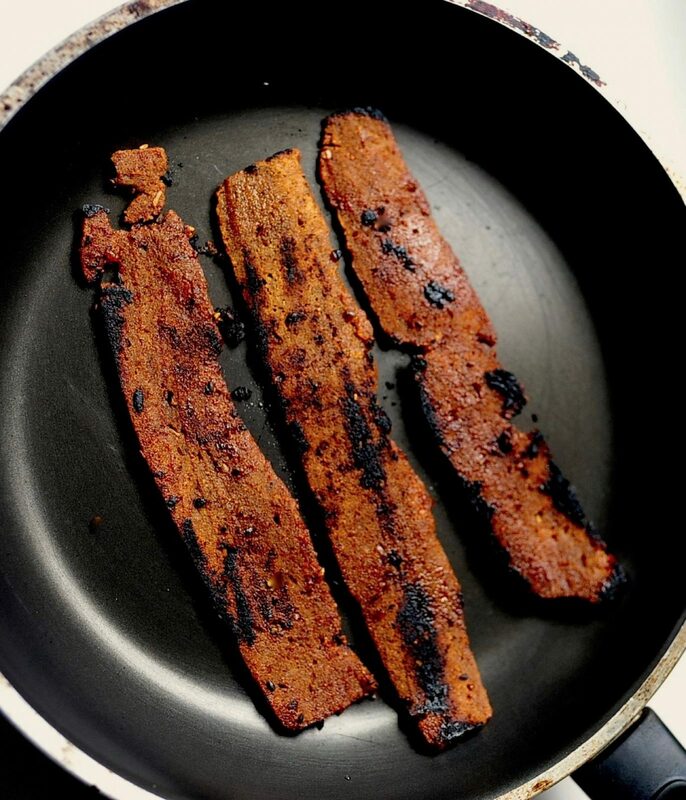 From sandwiches to salads to tofu scrambles this vegan bacon will make your dishes sing! Not just sing. Sing opera! Oh gosh now my mind is wondering what aria this vegan bacon is singing. Or perhaps this bacon is a hunky “savory” baritone like Escamillo in Carmen. 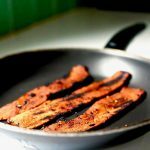 A make ahead vegan bacon that can be pulled out of the fridge and fried up in 4 minutes flat. Don't be alarmed when you see the long list of ingredients. Note that most of them repeat themselves in both the dough and the marinade there fore the list is much smaller. The dough will take you 10 minutes to make and then just pop it in the oven for 1/2 hour while you nap. After that all you need to do is make the marinade (3 minutes) and slice up the bacon. Now you are good to go and have a week's supply of "bacon". In a large bowl stir together the dry ingredients until combined. In another bowl stir together all the the wet ingredients until smooth. Lightly oil a metal loaf pan and press the seitan dough into the pan pressing hard into the corners until the dough lies flat in the pan. Spoon 1 tbsp of soy sauce and 1 tbsp of water over the top and enclose the top of the pan with aluminum foil so steam doesn’t escape. Bake for 30 minutes at 350. Remove from oven. Mix up your smoky maple marinade. Mix up all the ingredients and taste. A small taste though because it will be strong. Play with the balance of flavors to your own taste. 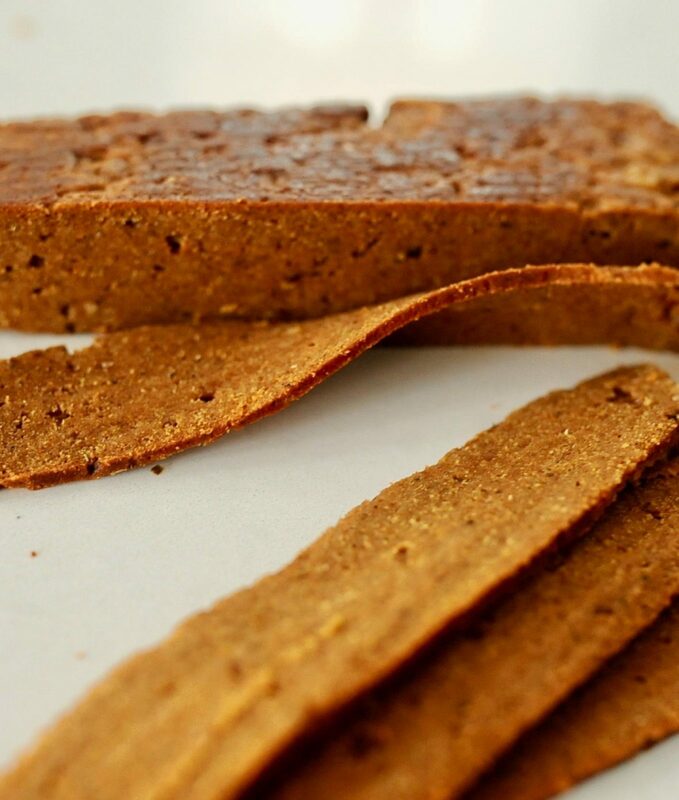 Now slice up your cooled seitan into long strips. I like it thick cut! Place the marinade in a pan that can hold all the sliced bacon. Slather the marinade onto the bacon strips on both sides and allow to sit 20 minutes. Fry up the bacon in a skillet about 2 minutes on each side. Make ahead tip. This marinated bacon will keep in the fridge tightly covered at least a week. This way you can fry it up as needed. How cool I that? How do you prevent your seitan from rising? Whenever I cook it without restricting it tightly, it puffs up, like bread. That’s a good question. I have not had that problem with this recipe. Maybe because I knead it so long and the gluten strands are pretty tight? I have had that problem in the past and in this recipe I wanted a very dense “loaf” so I kept the liquid ratio on the low side and constrained the dough to a loaf pan. I think that might have helped because it comes out with no “puff” as you can see in the photo. Mine just came out of the oven and has risen. Hmmm. I used a food processor. Maybe I didn’t process long enough. How yummy! I don’t like to compare the vegan version to some meat ‘original’ version because it has been so long. 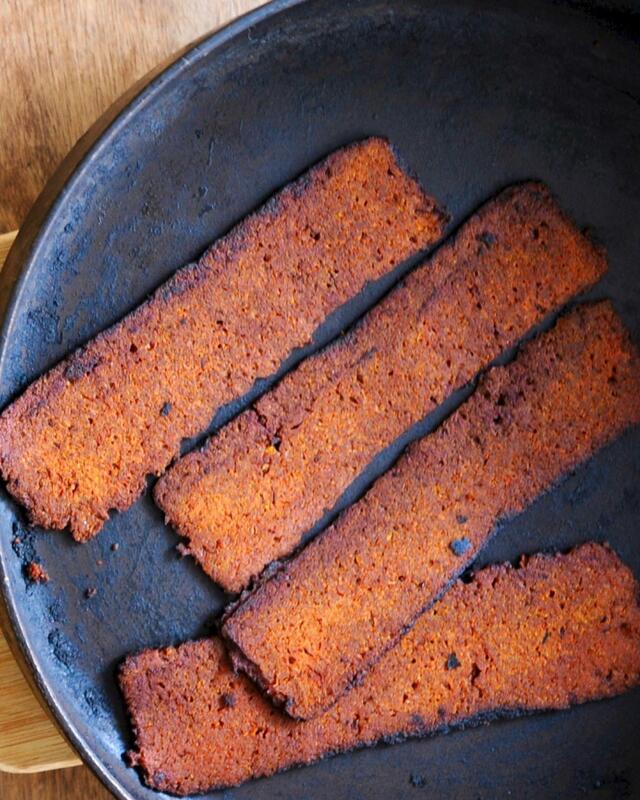 This seitan delicacy, however, is amazing in its own right. I can’t say that it tastes like the real thing, but it is delicious! There wasn’t enough marinade for all of the seitan, so I recommend doubling the batch and then some. It chars easily because of the maple syrup, but it doesn’t taste burnt; just so yummy! Thank you for this recipe! 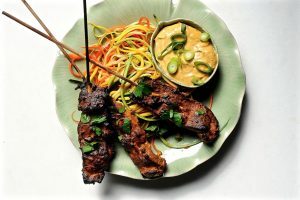 Doubling the marinade is a great idea! I’m so glad adore this recipe as much as we do. Yes the maple syrup chars a bit, yum. Just made this and OMG! So delicious and super easy! Game changer! 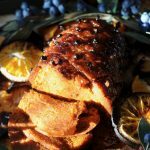 Jessica, I just thrilled that you love this recipe! Thank you for trying it out. On step 3 do you wrap the whole loaf pan in foil? Spoon 1 tbsp of say sauce and 1 tbsp of water over the top and enclose tightly with aluminum foil. Hi Donna, Sprinkle soy sauce and water over the top of the seitan in the pan, and then tightly cover the top of the pan with foil so steam doesn’t escape. Sorry if it wasn’t clear in the directions. I will change them. Enjoy! Hi, I tried this today. Flavor was very good, but questions for you! The texture on my seitan always seems more bread-like. I have only ever once achieved the meaty texture. How do I get rid of the breadlines? I see it supposed to crisp a bit? Mine was flimsy. Any suggestions? Thank you! I loved this! (I reduced the amount of smoked paprika by half and used more garlic powder but that’s just personal taste.) What really made the loaf shine was the soy sauce on top! The “meat” had a wonderful salty taste to it that I wanted to make sandwiches right away. If I didn’t want to marinade and fry it up, is the baking time enough to eat it then? I’m glad to see you customized it to your own personal taste! Yes the baking time is enough. I often sneak bites at that stage or use it a sandwich “meat” . 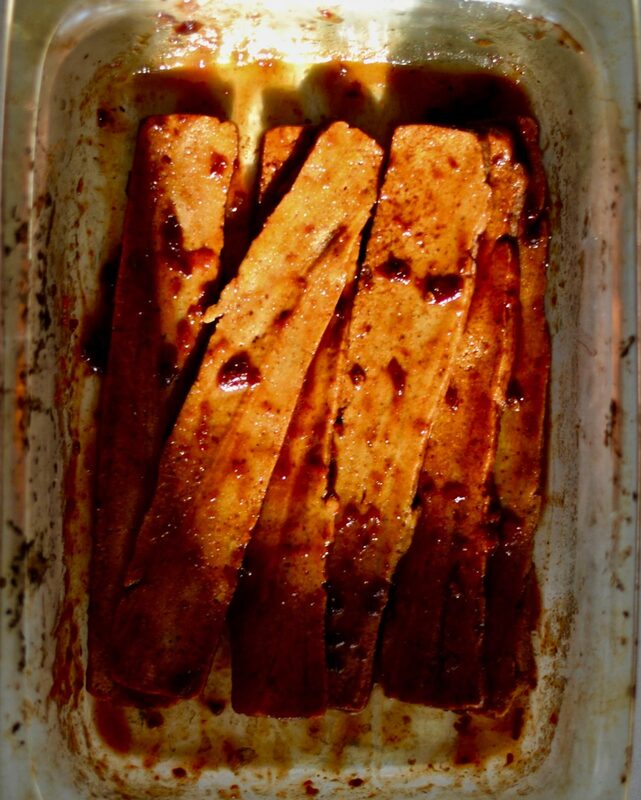 made this today and loved it – ive tried making seitan before but it has always been too chewy and tough and indigestible but this was absolutely delicious and sort of tender, Thanks so much! Oh thank you for trusting the recipe and getting back to me with your results. I am so pleased you liked it. Thank you for taking a chance on my recipe. I’m sooooo glad you loved it as much as we do. I’ve thought of hamming it up as well. 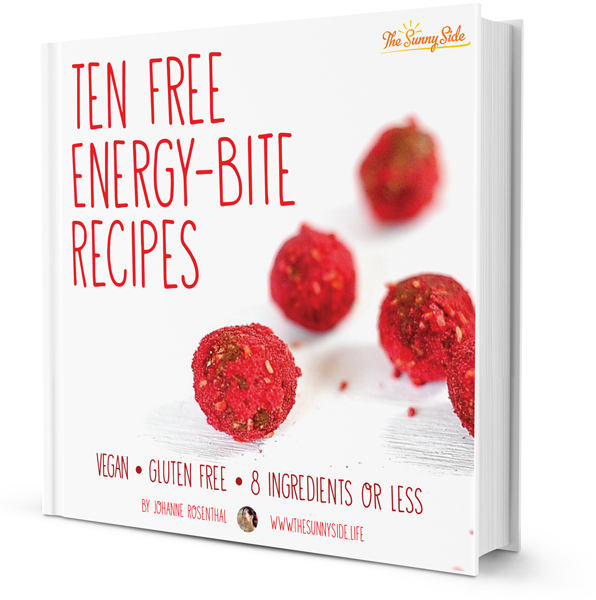 Have you ever made this recipe without Nutritional Yeast? 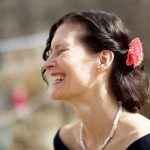 I have HS and must avoid any type of yeast and dairy? Or is there a substitute you can think of? 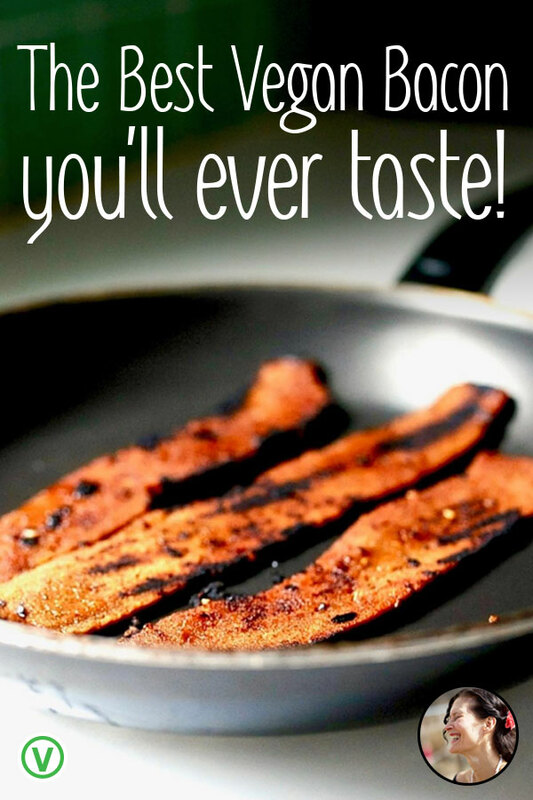 Hi Kevin, You’ll still have delicious bacon if you skip the Nutritional yeast. Please let me know how you like it. When making ahead, do I fry it at the end before putting it in the fridge? Or fry it just before eating?